Sandra is our ambassador boa constrictor. She, like the rest of her breed, has wonderful camouflage to resemble leaf litter. 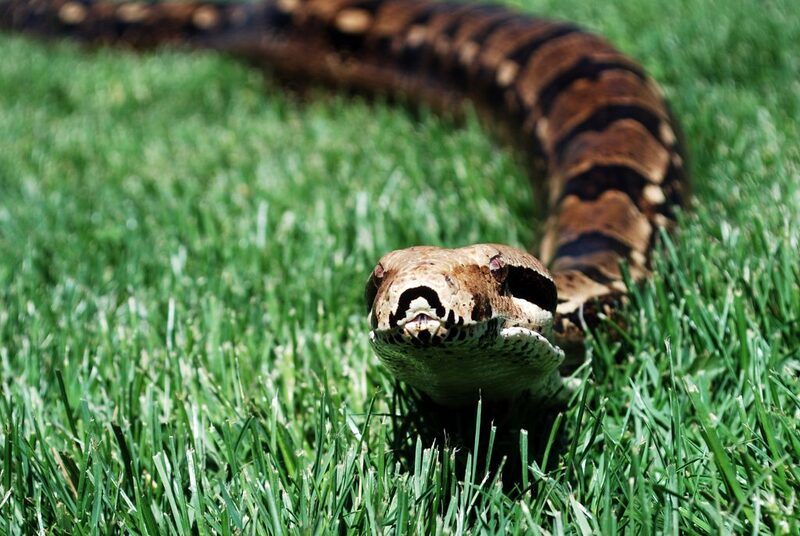 Boas are ambush hunters and lie in wait of their prey. They use their teeth to catch prey, but as constrictors, they squeeze and suffocate prey before swallowing it whole, usually head first. 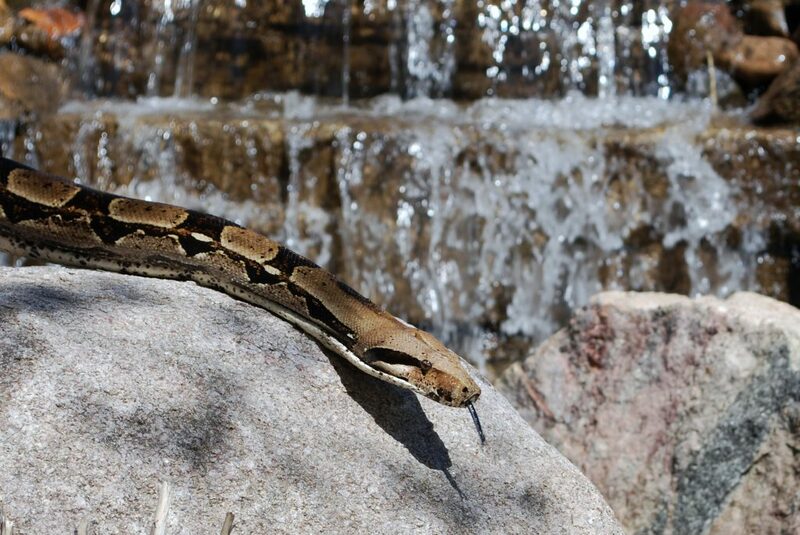 The boa constrictor can hiss loud enough to be heard 100 feet away. They are also great swimmers; however, they prefer to remain on land. To hunt, snakes stick out their forked tongue to collect scents. Once collected, the snake will insert the tips of the forked tongue into its Jacobson’s organ, where the data can be analyzed. The Jacobson’s organ interprets the chemicals such as pheromones to aid the snake with finding its next meal, or even a mate.